The ILA R1 is a smartphone with stunning features for both entertainment and official work. It has a powerful MT6739 quad-core processor that delivers a speedy performance. 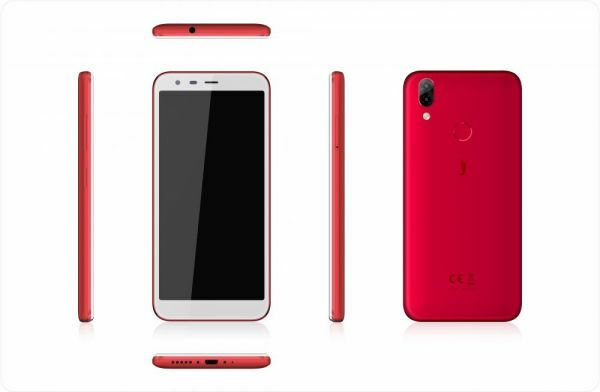 Playing multi-media games, streaming videos, and running various apps is easily possible, thanks to the highly responsive 2GB RAM of this phone. The 16GB internal memory lets you store your essential files and data in one device. The Face ID unlock function lets you access your data conveniently and quickly with just a glance. This ILA phone is equipped with a powerful 2800mAh Lithium-Ion battery that ensures you get a whole day of uninterrupted fun without being anchored to a power outlet. Watching TV shows and movies on this phone is a real feast to the eye, thanks to the 5.45inch screen. The 2.5D glass adds up to the incredible design of this phone. The Android 8.1 operating system manages the hardware and software efficiently, thereby giving you a performance you can depend on. This phone has a 13MP plus 0.3MP rear dual camera, which means you can click images with high quality in both autofocus and fixed focus mode. The ILA Dual-SIM smartphone also has a 5MP front camera which lets you click some social media-ready selfies and make high-quality video calls. The face ID function enables you to unlock the phone with your face as the key. The smart LOCK function unlocks the phone at the very moment when you light up the screen. This functionality is safe and convenient. The rear fingerprint identification feature works with a sensor which is placed on the backside of your phone. This sensor identifies your fingerprints and takes only fractions of a second to unlock the phone. This smartphone is designed by keeping in mind the harsh conditions of the modern-day lifestyle. It is coated with high toughness polycarbonate cover that offers excellent strength, thereby keeping you free from the worry of accidental drops. The polycarbonate cover is comfortable to handle and also helps in preventing physical damage to the phone. This smartphone has a 13MP plus 0.3MP rear dual camera which enables you to click excellent bokeh pictures and record videos of incredible quality. Also, it has a 5MP front camera that enables you to click remarkable selfies. This ILA smartphone features an MT6739 quad-core processor that excels on both speed and efficiency front. It is coupled with a highly responsive 2GB RAM that gives you a boost in multitasking and online video streaming. Furthermore, the 2800mAh battery lets you use this smartphone for almost a day without the need of rushing to the charger.